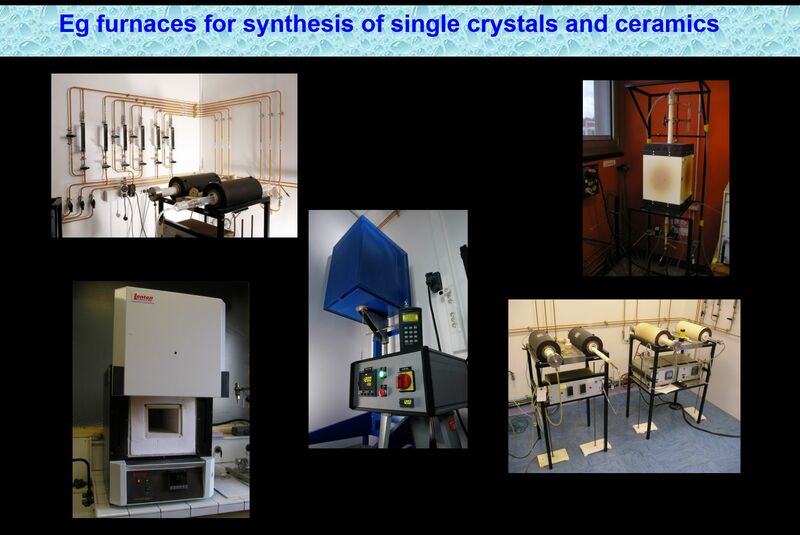 Part of the group's activity is focused on the synthesis and the physicochemical study of solid state materials as single crystals or ceramics, mostly oxides. 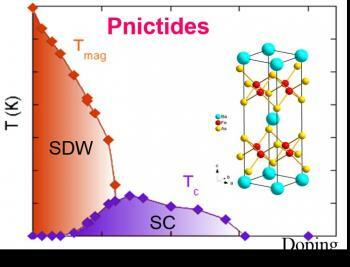 We dedicate our research to materials with remarkable properties as high-temperature superconductors (cuprates and pnictides), multiferroic oxides and iridates. Different routes of preparation are used depending on the type of desired sample. The solid state reaction technique of finely ground oxides or carbonates at high temperature (800 °C – 1500 °C) allows the synthesis of polycrystalline samples. 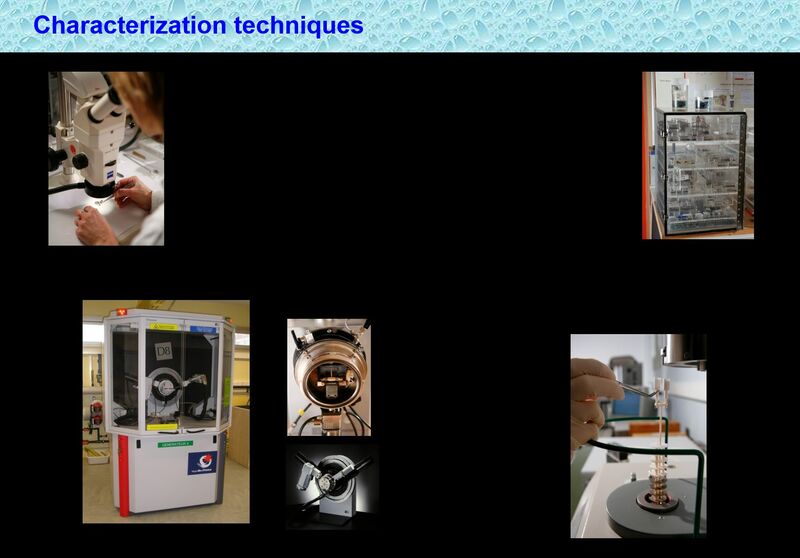 Sintering involves annealing these samples previously compacted, below their melting point, thereby improving their density as a function of their degree of compaction. 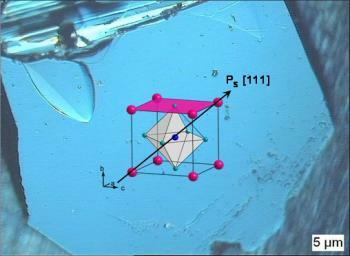 The synthesis of single crystals is performed using a flux growth technique. It allows crystallization of such oxides from a liquid phase, the temperature is chosen below the melting point or below of the decomposition temperature of the material. 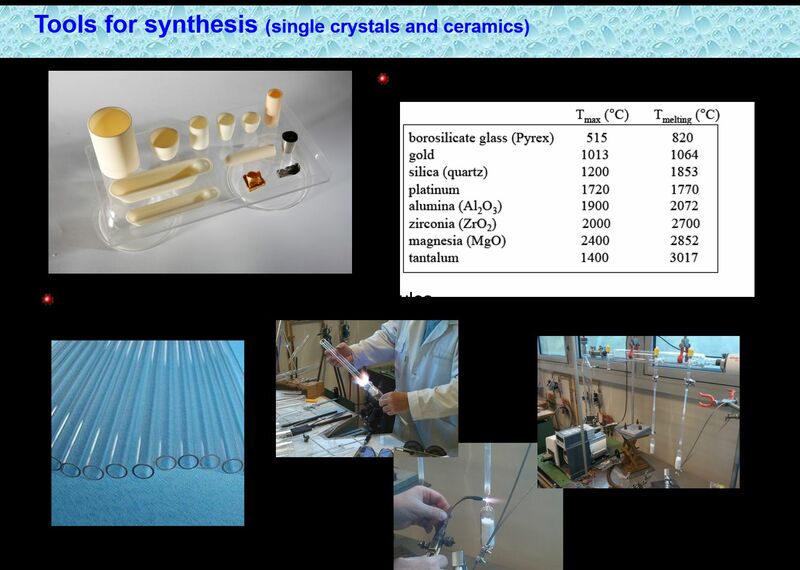 The syntheses are performed in air, in a controlled atmosphere or in sealed quartz ampoules under vacuum (for example for mercury cuprates or iron pnictides). 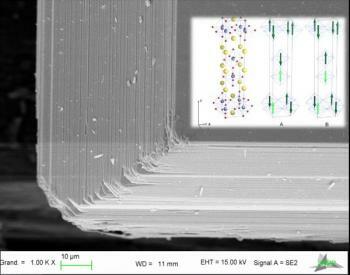 The physical properties (magnetic and transport) of samples are measured by physicists in the group. We also collaborate with many external laboratories. 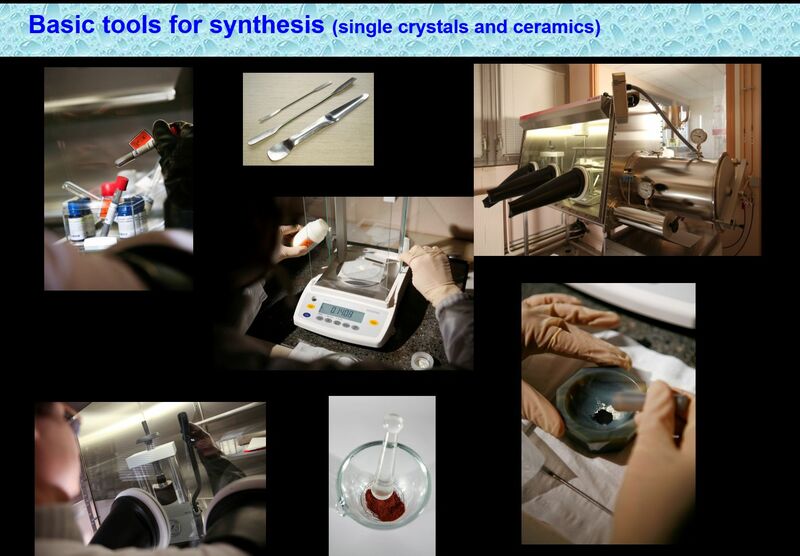 This strong interaction between chemists and physicists is an asset for samples optimization, it enables us to develop homogeneous materials with a high purity degree. Superconductivity is a fascinating state of matter in which electric current flows without dissipation of energy.